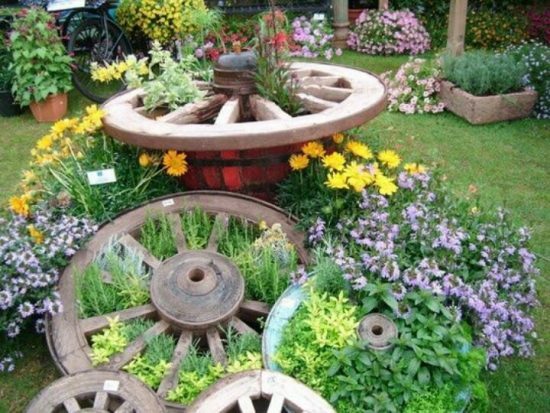 We have some serious love for this Wagon Wheel Design Herb Garden. What an ingenious idea it is. The great news is you can purchase a Wagon Wheel on Amazon. Another idea is to use the rim of a bike wheel. 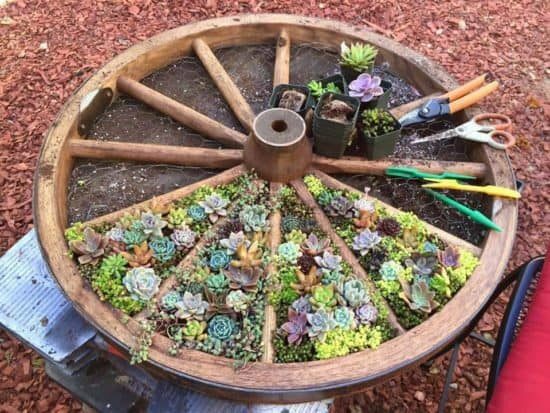 We have included a video that shows you how to upcycle into a Wagon Wheel and you will be thrilled to see just how easy it is. 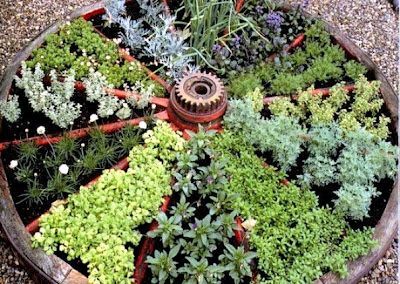 You can use your Wagon Wheel Garden for succulents, herbs and even annuals. The choice is yours. It would make a great feature for a courtyard too when you want to give a focal point. If you want additional space between your plantings, simply pull out the spindles. We can’t wait to make one ourselves. Are you thinking I love this idea but I don’t have a wagon wheel? Well, what about upcycling an old bike rim into one.